I'm not a regular "Tonight Show" watcher - it's on too late for me - but I happened to watch Conan O'Brien's final show last night. For those of you that have not been paying attention, NBC wanted Conan to give up the first 30 minutes of his show to make room for Jay Leno. He felt NBC was giving up on him too soon, after only 7 months, so he decided to walk away with a reported 45 million dollar severance package. I'm glad I watched - it was an awesome show! Steve Carell (sort of in his Michael Scott role) processed his exit interview, Tom Hanks shared a farewell toast with him, Neil Young performed "Long May You Run", and Will Ferrell belted out "Freebird", along with Billy Gibbons, Beck and Ben Harper. However, the part I liked the most was Conan's classy farewell speech. At some point, we're all going to face a little adversity in life. Maybe we'll get fired, laid off, or feel forced out of our job. If that ever happens to me, I hope I handle it with the class that Conan displayed last night. "Before we bring this rodeo to a close, I think a couple things should be said. There's been a lot of speculation in the press about what I legally can and can't say about NBC. To set the record straight, and this is true, tonight I'm allowed to say anything I want. Um, and no it's not a joke, but thanks sir. Tonight I really am allowed to say whatever I want and what I want to say is this. Between my time at "Saturday Night Live," "The Late Night Show," and my brief run here on "The Tonight Show," I've worked with NBC for over 20 years. Yes, we have our differences right now, yes we're going our separate ways, but this company has been my home for most of my adult life. I am enormously proud of the work we've done together. And I want to thank NBC for making it all possible. A lot of people have been asking me about my state of mind and I'll be honest with you, walking away from "The Tonight Show" is the hardest thing I have ever had to do. Um, making this choice has been enormously difficult. This is the best job in the world. I absolutely love doing it and I have the best staff and crew in the history of the medium. I will fight anybody who says I don't, but no one would. But despite this sense of loss, I really feel this should be a happy moment. Every comedian...every comedian dreams of hosting "The Tonight Show" and for seven months, I got to do it. And I did it my way with people I love. I do not regret one second of anything that we've done here. And I encounter people when I walk on the street now who are just uh who give me sort of a sad look. I have had more fortune than anybody I know. And if our next gig is doing a show in a 7-Eleven Parking lot we will find a way to make it fine. We really will. I have no problems. And, I don't want to do it on a 7-Eleven parking lot. But whatever, uh, finally I have something to say to our fans. This massive outpouring of support and passion from so many people has been overwhelming for me. The rallies, the signs, all the goofy outrageous creativity on the Internet uh, the fact that people have traveled long distances and camped out all night in the pouring rain. It's pouring! It's been pouring for days and they're camping out to be in our audience. Really, you...Here's what all of you have done. You've made a sad situation joyous and inspirational. So to all the people watching I can never ever thank you enough for the kindness to me and I'll think about it for the rest of my life. And all I ask is one thing...and this is...I'm asking this particularly of young people that watch...please do not be cynical. I hate cynicism. For the record, it's my least favorite quality. Nobody in life gets exactly what they thought they were going to get. But if you work really hard and you're kind, amazing things will happen. I'm telling you. Amazing things will happen. (Audience claps) I'm telling you. He thanked his employer. He complimented his team. He was heartfelt, authentic, positive, and grateful. However, the part I liked the best was his advice to young people: “if you work really hard and you're kind, amazing things will happen”. I've always tried to follow that advice as a leader and I hope my kids do as well. Well done, Mr. O'Brien. Well done. Thanks for posting this, Dan as many of us did not see it. Some cynics might say that its easy to give a farewell speech when you walk away with 45 million. I say that it is never easy to walk away from something you've loved doing. Based on this heartfelt speech, I'd say the money he earned was secondary to his passion for the work he did. Mr.O'Brien leaves with grace. And I'm willing to bet that grace will be granted to him wherever his journey leads. Finaly, I have no doubt that you are a kind person who works hard, too based on the few interactions we've had. Thanks for that. Thanks for that! I have the same impression of you. As you I am not a normal "The Tonight Show" watcher, it is just on far too late for me! But I did happen to watch last night to see how the much talked about farewell would be delivered. As Conan said most people thinking saying good-bye is a sad thing, but his farewell was actually an inspiration. No money can ever replace a passion or a career you love, you tell he was in the industry because of what he brought to his own life and other's lives opposed to doing the job for the money. When I watched the episode I overlooked the “if you work really hard and you're kind, amazing things will happen," so thank you for putting emphasis on that because I truly believe that is true. I believe Conan has many amazing things in his future because of this philosophy. Thank you for breaking down his speech, it was just as amazing to read it as it was to hear it! Thanks, I'm rooting for him too. Nice guys should come out on top. As someone who has spent the past few years coaching high school athletes, I cannot tell you how much I appreciate this post and your insights. By choosing to highlight a celebrity with a positive message to youth you are further emphasizing that message. There are too many negative examples for youth in our society today. Conan's story, in which he displays strength of character and integrity in the face of adversity is a fantastic example of someone who is capable of seeing the bigger picture and responding appropriately. Thank you for recognizing and taking the time to share this moment in pop culture. I couldn't agree more. I, too, am not usually up that late, but caught Conan's farewell. afterward, I turned to my wife and said, "Now, that was a classy exit." Thanks for putting the work into sharing the video and the transcription. Conan has set himself and his team up for success in the future; I'm looking forward to what happens next. Thanks. Conan has a very loyal young fan base, so I was so glad to see him set such a positive example. It's a great lesson in how to manage your career and life. Thanks for posting this and I agree with your assessment. This is indeed a class act. Like you I don't stay up late enough to get involved with these shows. In fact, I watch very little TV at all and when I do it's usually a podcast. So my impression of what was going on was purely from the news podcasts. This monologue puts a whole new light on Mr. O'Brien. Leaders hold themselves accountable. It appears that Mr. O'Brien gets it . . . we can only hope others follow suit. I too was pretty inspired by his farewell speech. This situation got ugly and its always hard to deal with confrontations in life and with human beings with differences. He walked away being the better man. His final lesson in life to youths will be embedded as one of the greatest lessons an entertainer has given. Nothing is perfect. You just have to continue to move on and see what lies ahead of you. Thanks. Sounds like a good example of not trusting everything you hear about someone. Thanks. I'll bet he'll get a lot of calls for commencement speeches this Spring. As someone who is new to your blog and also not a regular viewer of the “Tonight Show,” I want to thank you for highlighting this farewell speech on your blog. I think with all of the cynicism out there today, it is nice to see such an uplifting message in what would otherwise be a depressing situation. 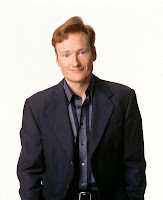 Conan leaves the “Tonight Show” with dignity as he chooses to thank NBC for the opportunities they have provided him over the years rather than smear their name on national television for more or less ousting him from the network. Whether we leave a position on our own terms or our employers, I believe it is important to move on with dignity. I also appreciate Conan’s message that people may not always get what they think they want in life, but that hard work and kindness can lead to amazing (and probably unexpected) things in our personal and professional lives. Although kindness is an often overlooked attribute of great leadership, people who lead with kindness have the ability to motivate others to be creative and take risks through mutually respectful relationships. This story really does give an insight into Conan’s view of his show vs. the politics of national broadcasting. To give up a half hour of a show that isn’t even an hour is asking a lot from someone who has already had a fair amount of success. I think taking the $45 million was a good idea because even if he never does come back to television, he should be well off for the rest of his life. And given his professional and respectful demeanor through it all, I would say this isn’t the last we see of Conan O’brien. Also, the video that is linked to this speech on youtube.com has already been taken off by NBC since it believes it is an infringement on the copyright. Maybe there is more to what Conan was saying about legalities on what to say or post about NBC. I agree with your view on Conan O'Brien's speech. I feel he left in a very classy way, which is important for multiple reasons. He is a public figure, which makes the message he sends extremely important. Also, it is important for his public and professional image. When you have the opportunity to influence so many people, it is important to think about how you might be viewed by them. Like all, he doesn't know what the future may bring and what opportunities may present themselves. By leaving on a good note, he leaves many doors open. If he were to have left in a real negative way he may have potentially hurt his chances for future opportunities and tarnished his public image. 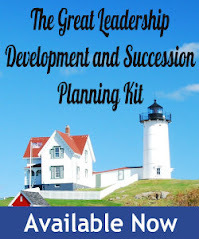 Welcome to Great Leadership! Well said. Thanks for pointing out that the video has been removed. I'm pretty sure it can still be seen on Hulu. It's always good to leave all doors open - you never know. Like you and many of the commenters, I don’t stay up late enough for the Tonight Show, nor have I watched Conan O’Brien in any of his other incarnations. So I’m especially glad you called his farewell to our attention. This is leadership at its darkest hour, when things come to an end and the road ahead is unclear. It’s about the others who depend on him, not his grief. It’s about looking forward to other possibilities, not looking back at what was lost. I loved his rally against cynicism, and the message of hope and possibility at a time when he, personally, might have every reason to despair and disparage. I hope 7-Eleven takes him up on the parking lots! Pamela talks from the heart, about the real emotional connections that people form when they work together. Caring for others, no matter how cutthroat the competition, is an important leadership component. I read it - good advice! It's worked for me, but I didn't realize what I was doing. Thanks, well said. And I removed the reference to the video. Better late than never! Thanks for the comment. I'm a bit late to the conversation, but I just want to applause Conan on a great speech. In a world where it's so easy to point the finger at everyone else, he handled the situation elegantly, and I'm sure good things will come his way. What Prevents Leaders from “Connecting the Dots”?